Family run Vauxhall and Ford dealership. Proud to offer the highest level of service. The team to go to for service you can trust, at a price you can count on. 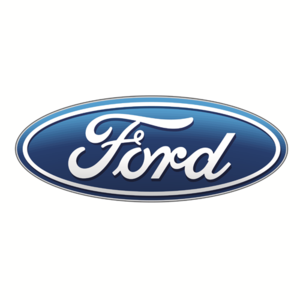 Here at Forest Gate Ford we aim to provide you with an unrivalled experience when servicing your vehicle. Our service promise to you is simple: no surprises or hidden extras…and the very best people looking after your car. Our Ford Service Promise to you: ✓Complimentary UK and European Roadside Assistance with your Service (so that when you set out on your journey, our friendly, skilled roadside help goes with you). ✓ Free FORD eCHECK (a 30-point visual electronic health check of your vehicle). ✓ All work is carried out by trusted Ford-trained technicians using the latest diagnostic tools. ✓ All published prices are recommended retail prices and include parts, labour and VAT. ✓ We’ll only use Ford quality parts fitted by specialist technicians. Ford Motorcraft 4+ For all Ford vehicles four years or older, we’re your one-stop shop for Ford Motorcraft 4+ servicing and repairs, plus MOT and tyres. Ford Motorcraft 4+ offers complete high-quality care at an affordable price, with prices starting from RRP £125 for a Ford Motorcraft Minor Service Prices include complimentary UK and European Roadside Assistance and a free ‘wash and vac’ for your Ford. Plus, with free tyre rotation and the option of an MOT at just £30 (RRP £35 without service), there are many other good reasons to come to us first. A service you can depend on…Because no one knows your Ford like a Ford Dealer does. "